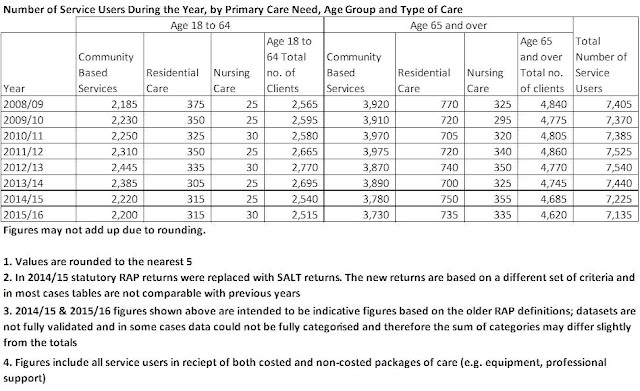 Mr Reasonable: Is this evidence of Barnet's cuts to community based adult social care? Is this evidence of Barnet's cuts to community based adult social care? I like to explore the Barnet Council Open Data web portal. Often it is a source of interesting data which deserves a wider audience like how many senior council are paid more than an MP (and the Prime Minister). 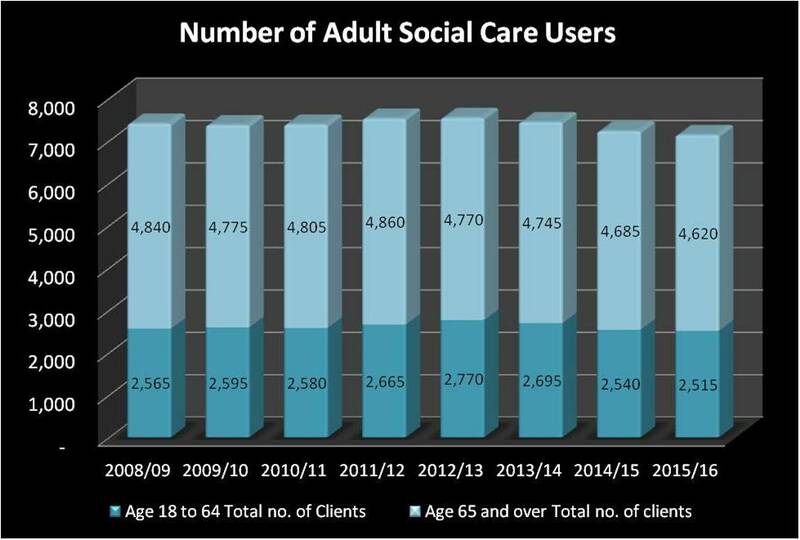 However, a recent data set (which you can see here) showed the number of service users in receipt of adult social care. With all the current talk about the social care crisis, I had expected the numbers of service users to have grown steadily over the period which starts in the financial year 2008/09. Indeed it did grow until the year 2012/13 since which time it as declined so that the number of service users in receipt of social care is now lower than it was in 2008/09. I have summarised the data in a table below and in a graph but the key fall appears to be in the provision of community based services. Given that I cannot believe that demand for community based adult social care has declined, is this evidence that cuts to the service provision are already taking place and does this mean potential service users are missing out on the care they really need? Maybe the figures are faulty; maybe I have misinterpreted them; but to me it looks like community based care is being cut. I hope someone from Barnet Council can shed some light on this.